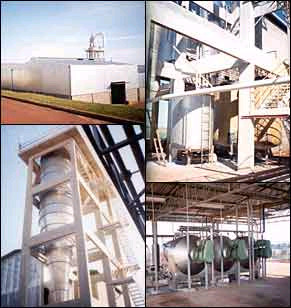 SUNRISE INTERNATIONAL has been involved with the Brazilian Food Industry since 1989. Headquartered in Charlotte, North Carolina (USA), SUNRISE is the Sales Branch in North America for Tapioca products processed by one of the highest quality Tapioca processor in Brazil, INDEMIL LTDA. Brazil is one of the leading Tapioca producing countries in the world. 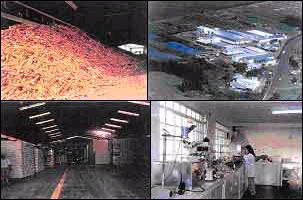 INDEMIL has been crushing and processing Tapioca roots since 1974. INDEMIL's plant in the Stateof Paraná (Brazil) is the major supplier to the Brazilian Market and it's recently inaugurated their plant in Guaira, which is one of the most technically advanced tapioca factories in the world. All production is controlled by a certified HAACP program and ISO9000. Due to its excellent raw material availability and state-of-the-art facilities, INDEMIL provides high quality, consistency and reliability in its Tapioca products. Due to continuous investment and technology progress, INDEMIL will be one of the very few companies in the world to manufacture all sizes of tapioca pearls, for instance. If your Tapioca needs is for Retail or as an Ingredient, SUNRISE INTERNATIONAL can assist with all of your Tapioca needs. All products are "all natural", GMO-Free, Kosher Certified, and a Passover Certificate is available upon request. SUNRISE INTERNATIONAL, INC. & INDEMIL, LTDA. Tapioca Granular Amorphous pregelatinized starch Food (dessert) and as a food ingredient. Tapioca Regular Starch, Food Grade Regular starch produced especially for food uses, under rigid quality control mainly on microbiological analysis. Processed foods, bakery, "cheese bread", confectionery, biscuits, candies, ice cream, soup, dough, ferment, sauce, cream, and pharmaceutical use. Tapioca Industrial Regular Starch Starch obtained by modern technologies and equipment, resulting in a constant and uniform Quality Starch. Textile, paper, adhesive, corrugated cardboard paper, mining, flocculation, water treatment. Acid Modified Starch, Food Grade Acid modified starch under rigid quality control, resulting in a safe use. Gum candy, powder product, "Jelly" candy, sauce, cream, and canned products. Acid Modified Starch, Industrial Strength Thin boiling acid modified starch. Textile, paper, adhesive. Tapioca Flour Flour obtained by hot plate dryer from whole root. Food and as a food ingredient. Sorrel Starch Fermented starch and sunlight dried. Food ingredient, bakery. Tapioca Starch Glucose Syrup Glucose syrup produced with pure tapioca starch by acid conversion. Food - candy and caramel, chewing gum, candies, juice, meat products, pharmaceuticals, rice polish, confectionery, bakery, frozen products.Industrial - leather, cement, textile, etc. Carmelized Glucose Syrup Glucose syrup mixed with inverted sugar. Energetic food - candy, confectionery and used as is.